It is a challenge to keep track of everything that is going on at an Emergency Department (ED). The always changing situation and the constant interruptions can make the work stressful and reactive. To become more proactive, limit the feeling of chaos and increase patient focus, it is necessary to get an overview and understanding of the current situation as well as the coming hours. Based on his work at the ED at NÄL in Trollhättan and the prototype tool Sequence Planner, Kristofer Bengsson believes that it is possible for an ED (or any type of care unite) to become proactive and dynamic. The tools and algorithms that are currently begin developed helps the staff to focus on the plan for each patient using smart process monitoring and visualization, AI to predict the coming workload, and flexible and proactive process scheduling. In this talk, Kristofer will present their results and share his experience from working with AI research at a hospital. 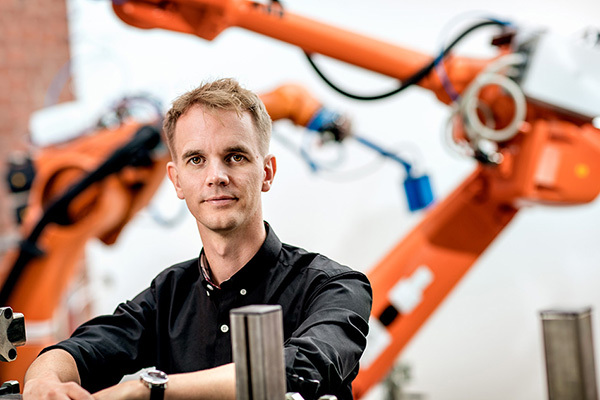 Kristofer Bengtsson received his Ph.D. degree in Systems and Control from the Chalmers University of Technology in 2012. He has a background in developing real-time control and automation systems before starting his academic career. Currently he is working with control and optimization of automation systems, intelligent and collaborative robots as well as AI and IT support for proactive care. We are around 25 researchers in the group developing algorithms and tools for control, planning, learning, optimization and verification of advanced systems. The focus of their research in health informatics area is on AI techniques and IT tools, to support planning and scheduling. They will also extend their work with autonomous and collaborative robots into medical applications. Note that this seminar will be filmed. We offer a light lunch to participants registered before 11:00 on 3 October.